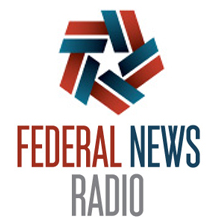 A group of agile experts in federal IT contracting share best practices for agile procurement in a Federal News Radio article. Since most federal agencies report that more than half of their IT development efforts use agile today, it’s important to understand the key acquisition success strategies to adopt and mistakes to avoid. Identifying user groups and real users to participate in developing use cases, reviewing designs and providing feedback on the product as it is developed incrementally. Dividing development (or procurement) into increments that each have real value, can be used by customers and build upon one another. For a large program, engaging several vendors to provide agile teams so that an agency can continue or increase use of effective vendor teams but decrease or discontinue use of ineffective teams. Specifying the types of work that are needed so that vendors can assign the best-suited team members.